First things first…I have never met the owners of this Inn, but I suspect I will someday, because the Alexis Park Inn and Suites in Iowa City, Iowa is so very, very cool if you’re a pilot. The Charles Lindbergh Suite…the name says it all! This suite is a huge 600+ square foot, two-bedroom non-smoking suite, decorated with Lindbergh (and Lindbergh-era) artwork and memorabilia. And yes, they like pilots, a lot. That’s why they give a quick and simple 10% off room rates to members of these aviation organizations: AOPA, Airnav.com (user members), EAA and Cherokee Pilots Association. The Alexis Park Inn & Suites is the only hotel in America that can offer you an airplane ride during your stay! We have worked out a great deal with Jet Air, Inc. (our local airport operator, just 300 yards away) to provide 30-minute airplane rides for up to 3 guests -- for only $75! 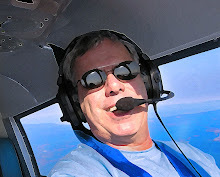 Sit back and enjoy the ride, or -- if you'd like -- your Certified Flight Instructor pilot will let you take the controls! 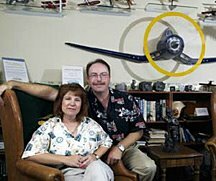 They also have posted on their website easily the wildest collection of “out there” aviation video clips I’ve discovered anywhere, stuff like the Airbus Autoland Crash -- The very first fully automated aircraft flies into the trees...or something called “Jet versus wall” in which the wall wins. Check these out here. To read a very good article on the place, check out Julie Boatman’s article in AOPA Pilot here, and read the Inn's list of amenities here. I just love to plug businesses that have this much good taste for aviation, so the next time you have reason to visit Iowa City, you are hereby ordered to stay at this hotel. No excuses, give them your business or they’ll replace the airplane stuff with cheap sofa art from Wal*Mart. O.K., only kidding about the sofa art. Not kidding about how important it is for us in the aviation community to support people like the Honecks who really know how to welcome wayward aviators.